The insurance industry has traditionally revolved around a ­company-centered business model in which products and intermediaries had a bigger role. Though insurance is considered an efficient mechanism for risk transfer, many customers have approached it hesitantly due to perceived complexity. 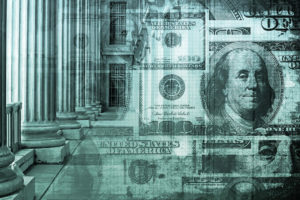 In spite of the inherent inflexibility, over the past few years, commoditization of few insurance products has allowed customers to choose products based on cost. The changing expectations of customers and advancements in digital technologies are triggering many fundamental changes in businesses. As several direct-to-customer (D2C) options emerge, products and services are being redesigned and repositioned to provide memorable experiences to customers. For staging these experiences, companies are experimenting with micro-fragmenting or atomizing their business models, products, and services. In this changing environment, the concept of insurance is shifting from risk remediation to pre-emptive risk prevention and even toward ensuring continued protection or well-being. For achieving this objective, insurance companies must take more responsibilities, playing the role of a service orchestrator in the life journey of the customers. This article discusses how the insurance industry is changing to position experience as its offering, and how atomization is being used to deliver it. Commoditization of products and services emerge when markets mature from monopoly to pure competition. Commoditization is a behavioral shift in the market, where products and services are undifferentiated in the eyes of the consumers and selection is supposedly made only on the price disparity. While it is relatively easy to commoditize goods and products based on inherent attributes such as tangibility, fungibility, tradability, separability, and perishability, doing so for services is more challenging. Insurance is defined as an abstract promise of compensation against the risk of a contingent and uncertain loss. 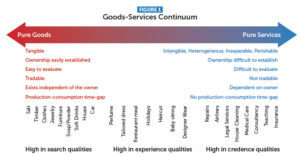 It is plotted by business theorists toward the pure services corner in a goods-­services continuum, in which goods, products, and services are plotted as a spectrum. 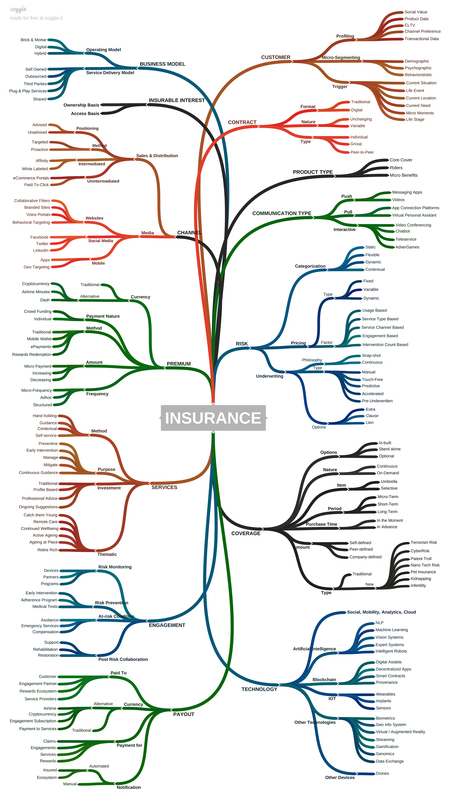 For the marketing and selling of insurance products, insurers have traditionally followed the principle, “Insurance is sold, not bought.” The industry has thrived on an intermediated selling model, which helped companies cover the products with a layer of mystery and prevent commoditization. As a consequent downside, insurance customers have been conditioned to live with inflexible products and services, resulting in long-term customer sacrifice. 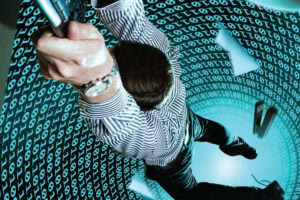 In recent years, growth in information and communication technology has armed customers with “anywhere and anytime” access that has forced companies to react by providing more self-service options. This trend, in turn, acted as a catalyst to trigger a powerful wave of commoditization 2.0, which swept across the entire continuum and impacted even pure services. For example, customers have even begun to choose service providers of telecom or internet connectivity only on the basis of price. In the insurance industry, sales channels such as aggregators, price-comparison sites, online portals, and mobile apps have helped in the growth of D2C model and acceleration of commoditization. Resultantly, few products such as term life insurance, auto, home, and travel insurance are seen to be commoditized. While these products got commoditized, the industry considered the unbundled core product and made it available through various D2C channels with price differentiation. Though policy riders and few service variations have helped the insurers to create a make-believe product variety, the whole offering still remains inflexible and transactional. It has been a challenge for other insurance products to become commoditized because they are complex to understand, fraught with investment risks, or both. These products continue to be intermediated as customers require human intermediaries to analyze their need, build trust, explain the features, and interact with them for positive reinforcement to complete the sale. As the great generational shift unfolds, the Millennial generation, which is a large demographic cohort in every geography, is moving toward center stage in the customer landscape. With their unique product preferences, behavioral traits, service expectations, and tech-savviness, Millennials are influencing the current and future course of economies and industries. In this changing scenario, companies cannot survive by catering only to commoditized or intermediated markets. Compelled to break out from the commoditization trap, companies that offer goods and products are trying to build layers of service wrappers to differentiate their core offerings. They are redefining product philosophies, business operating models, and service engagement patterns to stage memorable experiences consistently across all the touch points and journeys. For creating experience-driven offerings, companies are expanding their boundaries from selling products to providing servitized solutions with complex product-service combinations. Companies are focusing on the experience their consumers will have during the entire period they consume or use the products, in addition to the resultant outcome. In addition to selling base products they are reinventing themselves to offer a range of services such as supply of spare parts, help desk support, periodic maintenance, repair, and overhaul. Asian Paints, an Indian multinational company, is engaged in the business of manufacturing, selling, and distribution of paints and coatings. The company has shifted its business focus from selling paints to the very business of painting. It offers customers a suite of services, such as color visualizer, color consultancy, painting services, solutions for waterproofing, and wood solutions, thus providing experience-based solutions for the specific painting requirements of each customer. A fundamental change in customer service is emerging in the hyperconnected world, with new platinum standard replacing the age-old gold standard. Any experience qualifies as an experience only if it is driven by a “segment-of-one” approach—i.e., personalized and contextualized. Even the companies that are in the middle of the goods-services continuum, and offering solutions that are high in experience qualities, are exploring ways to make the experiences they sell transcend beyond what is perceptible to the five senses. They are trying to differentiate their experiences by providing exclusivity, thematic variations, and personalized services. For example, Starbucks Corporation has moved far away from selling what is basically an agrarian product. It has redefined the way coffee is prepared and served to provide customers with the best possible coffee experience. Fresh and handmade beverage (product), provided in specially designed stores (place) where it is ground fresh in front of the customers (process) and delivered by extensively trained staff (people), all blending together to give customers an elevated coffee experience. For staging experience, companies offering services are exploring various methods to microfragment or atomize each and every business component, such as market segment, products, and services. These atomized components are then dynamically fused to create tailor-made solutions that are driven by the customer, situation, and outcome and are delivered based on the customer’s preference. Companies are pursuing various initiatives under the umbrella of customer experience management and are choosing one dimension of their marketing mix to create personalized and contextualized products or services in that space. As these trials are in the early stages, the way companies atomize and bond has yet to standardize. To provide a seamless customer experience across multiple channels, companies are embracing channel atomization by adopting an omni-channel strategy. Atomizing customer segments is being extensively done to create individual customer-focused strategies. Companies such as Spotify and Garanti Bank are seen as pioneers in atomizing pure services to provide experience. Spotify, a Swedish music, podcast, and video service company, operates on a freemium model: Basic services are free, while additional features are offered via paid subscriptions. Spotify enables access to music through all major operating systems and channels such as desktop, mobile devices, home entertainment systems, auto dashboards, and smart TVs. Customers can browse or search music by artist, album, genre, playlist, and record label. They can create, edit, and share playlists; share tracks on social networks; and make collaborative playlists with other users to create a personalized way of experiencing music. Garanti, the second largest bank in Turkey, has introduced a mobile app called iGaranti that has atomized the banking services into 23 features designed to make managing money easier. It integrates wallet, savings, loans, offers, and other functions to let users tailor their mobile app according to their needs. Using the app, customers can make quick payments of bills, transfer money with one click, receive personalized financial tips and suggestions, plan spending based on previous months’ behavior, get overspending alerts, redeem location-based shopping offers, manage transactions with voice control, and withdraw cash from an ATM using a phone rather than a card. The app entrusts the control of money entirely to the customer, thus providing an elevated banking experience. The interactions shared between insurers and customers have always been transactional and never relational, and hence customer experience generally has been an afterthought. Most of the insurance products have been sold by focusing on one basic human emotion—fear. In the customer’s mind, insurance remains positioned as something that cannot be avoided and has to be addressed with all seriousness. This setup has confined customers to the state of a reluctant and a relatively indifferent stakeholder in the insurance ecosystem. It has taken many decades for the insurance industry to wake up from the deep slumber of customer indifference to the new experience-driven economy. With the absence of proper customer engagement models, the make-believe experience of an insurance customer has revolved around limited touch points, journeys, and the most important “moment of truth”—claims settlement. As the business axis shifts from company-focused to customer-oriented, the basic reference frame alters to plot where the company is positioned in terms of the customer experience realms. Insurers are trying to develop customer experience models from scratch by critically evaluating all the building blocks of their business. Insurance customers are, for the first time, being exposed to engagement models that facilitate continuous interactions. Many insurers, start-ups, and insurtech companies are lining up with industry-disrupting offerings that are created by questioning the customarily accepted ways of insurance. By atomizing everything from business models to products, services, and technology, they are creating solutions that can gratify the what, when, where, and how needs of the customers to provide an elevated experience that is personalized and contextualized. Insurers are starting to introduce solutions that require varying degrees of customer participation that ranges from being passive to active. 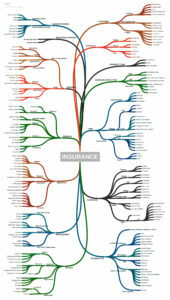 Figure 2 gives a generic, indicative view on atomizing insurance. 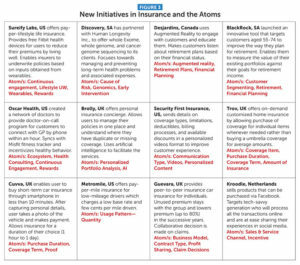 The atomization initiatives by few insurers, startups and insurtech companies are depicted in Figure 3: New Initiatives in Insurance and the Atoms. Many of these offerings are focused on providing the sales and service through D2C channels. A common thread across many of these initiatives is that to create the experience-based offerings, companies are atomizing products that have been already commoditized and offered through D2C channels. The perceived challenges for atomizing other products is that customers are still dependent on intermediaries for purchasing them and that the products are not yet D2C-ready. 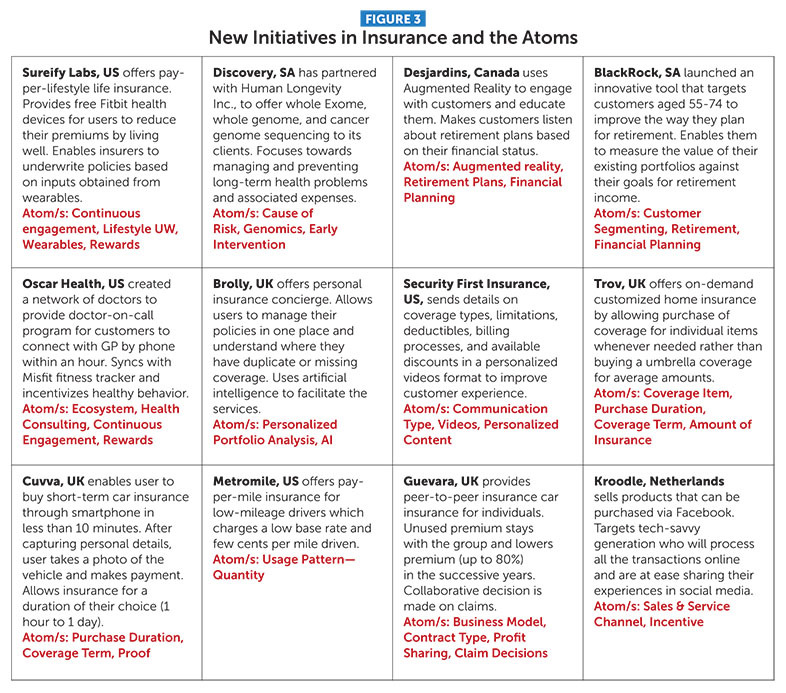 Insurers with a mindset that atomization is only for D2C offerings have not been able to atomize these products. By shifting the focus from D2C and starting to conceptualize atomization for an intermediary, insurers will be able to atomize these products and stage experiences comprehensively through intermediated sales. Offering insurance as experience is relatively new, and many experiments focus on how insurance products are packaged, presented, or consumed, and hence the experience is predominantly cosmetic in nature. With the passage of time, few of these trials will succeed, stabilize, and mature, thus leading to the emergence of competition. In due course, these atomized offerings that are focused on staging experience will end up being selected based on price—resulting in the commoditization of experiences. Vitality Group, a member of South Africa-based Discovery Limited, has partnered with several insurers across many countries to offer life and health insurance products. Vitality engages with customers through several wellness programs. To understand the health status, customers go through health assessments and various ongoing engagement activities such as exercising, eating well, and periodical health screening. Vitality also uses data from wearables to track physiological (heart rate, blood pressure), emotional (stress, sleep), and lifestyle (exercise) details. Customers earn vitality points depending on their health score, which gets converted into appropriate premium discounts and rewards. 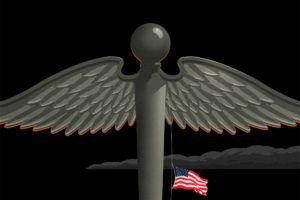 Vitality positions itself not as an insurer but as a holistic wellness solution provider whose business objective is to transform health and ensure the continuation of wellness.Though insurers are always concerned about the outcomes that impact them financially, they never heretofore owned any responsibility to modulate them. Due to their all-pervasive presence in the new engagement-driven insurance landscape, insurers will be mandated to play the unenviable role of a chief orchestrator of all the throughput activities that can control the outcome. Nevertheless, it may be impossible for insurers to provide the entire gamut of activities that could shape life transformation all by themselves. They will likely wish to create a comprehensive ecosystem with many stakeholders that could partner and engage with customers to guide, nurture, and shape such transformations. In a transformation-driven ecosystem, customer churn or attrition would virtually disappear as customers would realize the value and persist for their own transformation. As of now, “insurance as transformation” remains niche, with only a few companies and industry initiatives attempting to explore the space. Auto insurance is another business space where a transformation-driven model is evolving. For providing telematics-based solutions, insurers have atomized the risk factors into granules such as mileage, garaging, speeding, hard braking, cornering, day of the week, time of the day, type of road, and routing. During the initial stage of usage-based insurance, insurers considered only the miles a vehicle had covered to calculate the premium. This was followed by a period when the “driving style” was considered to arrive at personalized premiums. Now, usage-based insurance is moving beyond premium discounts into offering driver engagement features such as suggestions for safe driving, real-time traffic alerts, vehicle diagnostics, parking suggestions, and emergency support. In addition to these, an entirely new set of parameters is being studied to assess the distraction, emotions, and health of the driver to provide personalized and real-time guidance for behavioral modification. The motor insurance has shifted from the concept of pay-as-you-drive (PAYD) and pay-how-you-drive (PHYD) to manage-how-you-drive (MHYD). By concerning themselves with driver safety in addition to vehicular safety, auto insurers are transforming themselves from mere insurers to mentors for safe driving. Though the atomization of insurance to stage experience has just started to manifest and the fragmentation and the bonding models are still evolving, the experience-driven insurance is a new paradigm—and a reality. It will begin to dominate the insurance offerings in the next few years, and as insurers embrace experience and transformation business models, they will become the driving force and mainstay of the ecosystem in which all other service providers will operate and thrive. As customer expectation drives insurers to offer atomized coverage at an individualized level, the traditional risk evaluation and cross-subsidized pricing models will be challenged.  Initially, it could be an actuarial nightmare to calculate the right price for the contextual and dynamic engagements because actuaries will need to categorize, model, and price risk for various atomized dimensions. They may also need to factor the contextual involvement of the ecosystem partners, duration, intensity, and variance in the engagement models to get the prices right. However, in due course, it would be a reasonable expectation that, in addition to the conventional risk tables, insurers will come up with unique tables for every engagement type and model, thereby converting a challenge into an actuarial opportunity. If insurers identify the right “experience sweet spot” and offer transforming solutions, customers may not only be prepared to pay a higher price for the offering but also become brand advocates. Customers will be the big winners in the new paradigm. 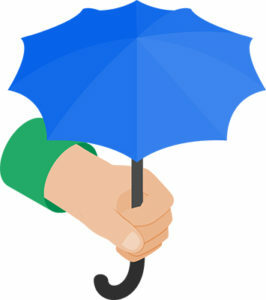 The insurer-customer bonding will get strengthened, and customers will start considering insurers as trusted advisers. Customers will no longer be purchasing insurance just for risk remediation, as the decision to purchase would be driven by the need for engagement, experience, and life transformation. SRIVATHSAN KARANAI MARGAN works as insurance domain consultant in Insurance & Healthcare Innovation Lab at Tata Consultancy Services Ltd.
“Banks build communities and attract customers with social media,” https://www.cbinsight.com/banks-build-communities-and-attract-customers-with-social-media.html, Viewed Feb. 14, 2017. “Desjardins Insurance’s Augmented Reality-based videos put fun back into Retirement Planning,” https://www.desjardins.com/ressources/pdf/2014102901-e.pdf, Viewed Feb. 14, 2017. 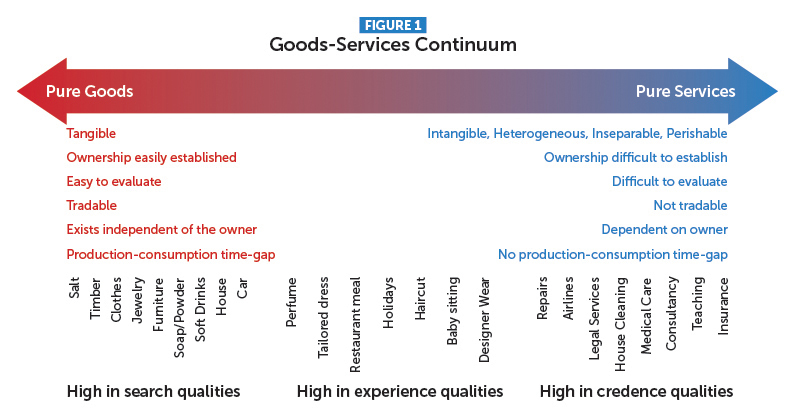 “Goods, Products and Services,” Glenn Parry, Linda Newnes, and Xiaoxi Huang, Service Design and Delivery, Springer, ISBN: 978-1-4419-8320-6. “Goods and Services,” https://en.wikipedia.org/wiki/Goods_and_services, Viewed Feb 14, 2017. “Human Longevity, Discovery to Offer Clients Sequencing, Analysis for $250,” http://www.genengnews.com/gen-news-highlights/human-longevity-discovery-to-offer-clients-sequencing-analysis-for-250/81251758, Viewed Feb. 14, 2017. “Meet CoRI®—BlackRock’s Retirement Calculator,” https://www.blackrock.com/cori-retirement-income-planning, Viewed Feb. 14, 2017. “Security First Insurance Uses Personalized Videos to Help Florida Home Insurance Customers Better Understand Their Coverage,” http://www.securityfirstflorida.com/newsroom/security-first-insurance-uses-personalized-videos-to-help-florida-home-insurance-customers-better-understand-their-coverage, Viewed Feb. 14, 2017. “The Atomised World: Where Brand Services Combine,” http://www.cmo.com/features/articles/2015/12/1/the-atomised-world-where-brand-services-combine.html#gs.N0W8Hr0, Viewed Feb. 14, 2017. “The Experience Economy: Work is Theatre and Every Business a Stage” by B. Joseph Pine II and James H. Gilmore Harvard Business School Press, Boston, Massachusetts, 1st edition (April 1, 1999), ISBN 0-87584-819-2. “Traxcn Report, Insurance Tech,” June 2016, https://startupmission.kerala.gov.in/system/files/InsuranceTechStartupLandscapeGlobal_176_14-Jun-2016.pdf, Viewed Feb. 14, 2017. “We are Kroodle and we believe insurances can be made easier,” Marnix Zwart, Co-founder and COO Kroodle, http://celent.com/system/files/the_hundred_percent_digital_insurer.pdf, Viewed Feb. 14, 2017.